Watch video from the conference here. Pennsylvania Gov. 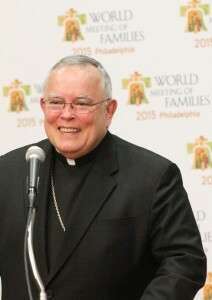 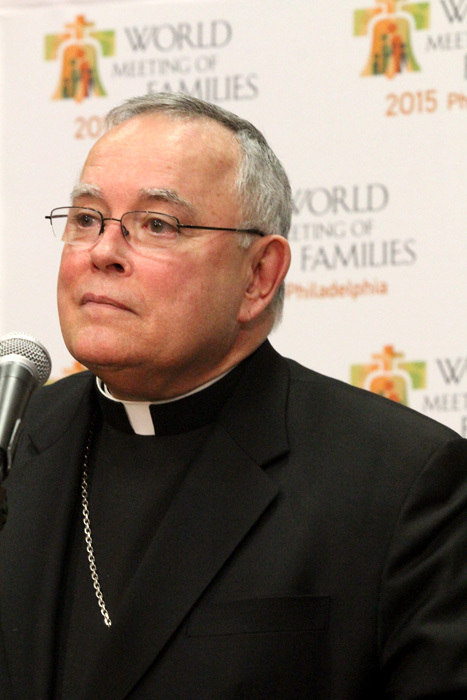 Tom Corbett, a Catholic, said he and other members of the delegation will try to persuade Pope Francis to attend the World Meeting of Families, as past popes have done. 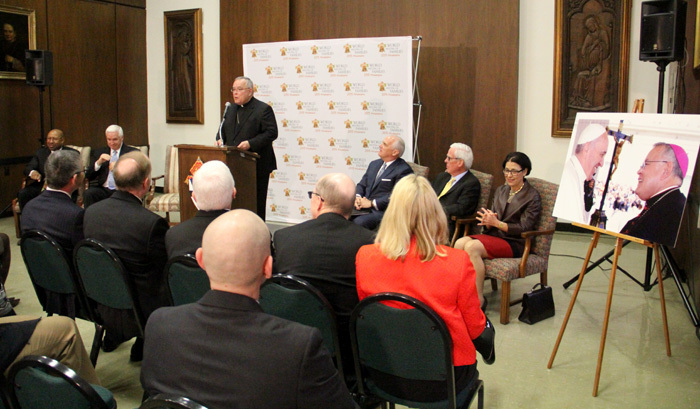 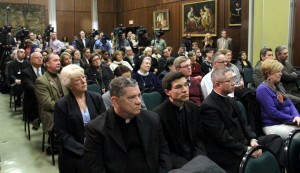 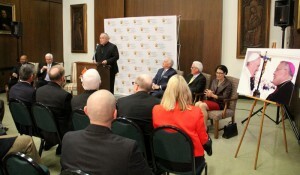 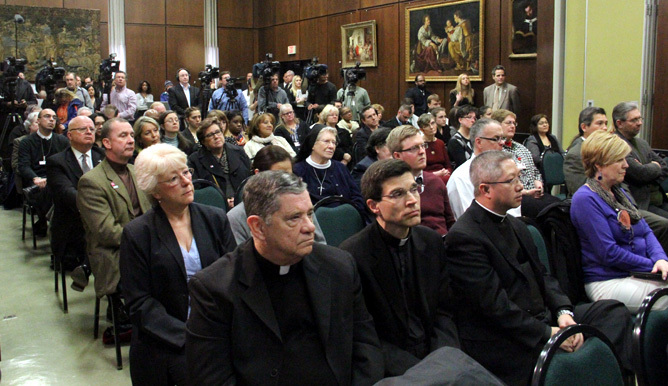 Guests listen to speakers at the press conference March 7 at the Archdiocesan Pastoral Center. 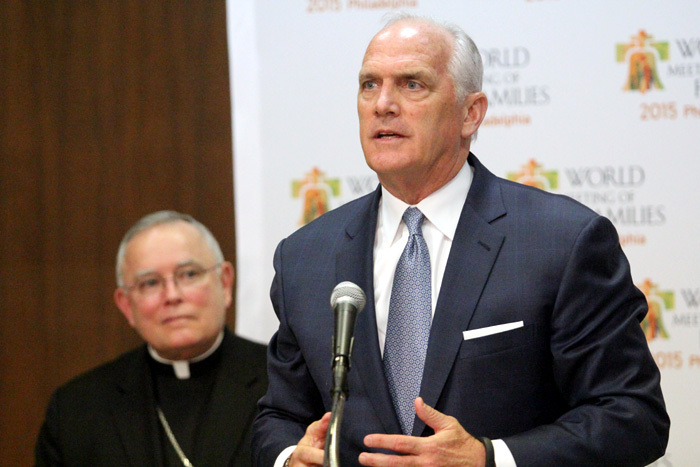 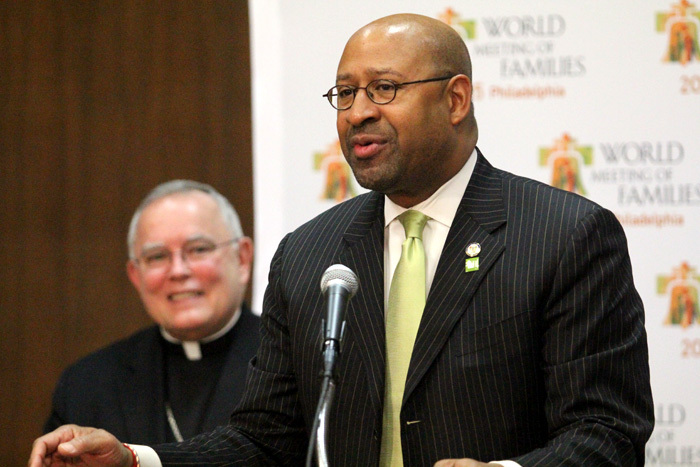 Philadelphia Mayor Michael Nutter, who is a graduate of Jesuit-run St. Joseph’s Prep, tells how excited he is to meet Pope Francis during the upcoming trip to the Vatican to discuss plans for the World Meeting of Families in Philadelphia in September 2015. 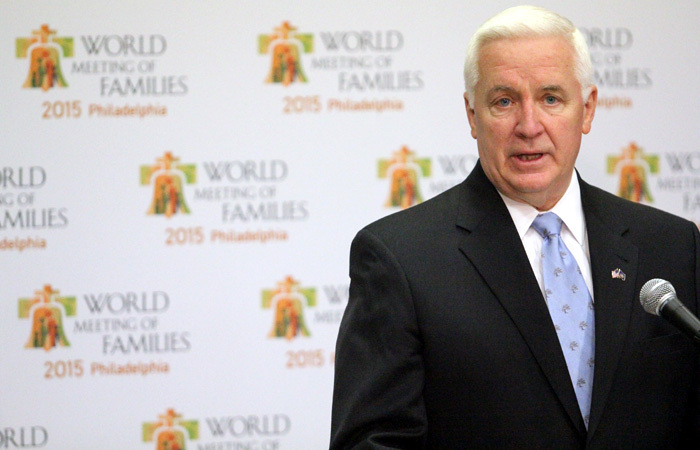 Dan Hilferty, president and CEO of Independence Blue Cross, speaks at the press conference. 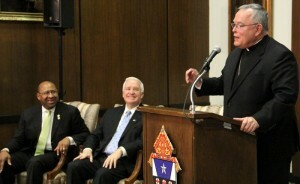 From left, Archbishop Chaput, Mayor Nutter and Gov. 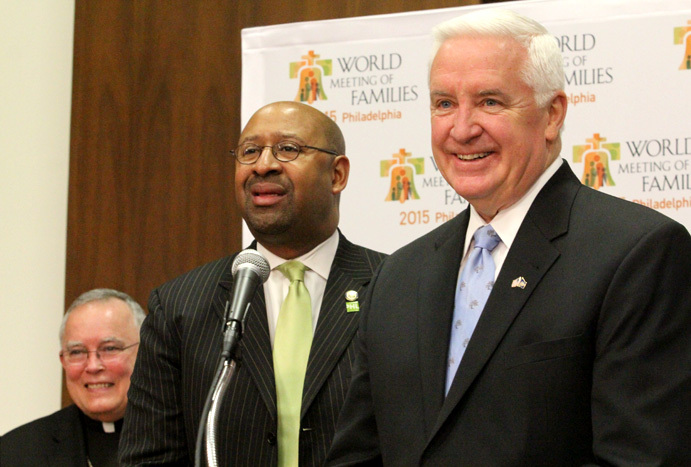 Corbett are all smiles as the announce plans underway for the World Meeting of Families to be held September 2015 in Philadelphia. 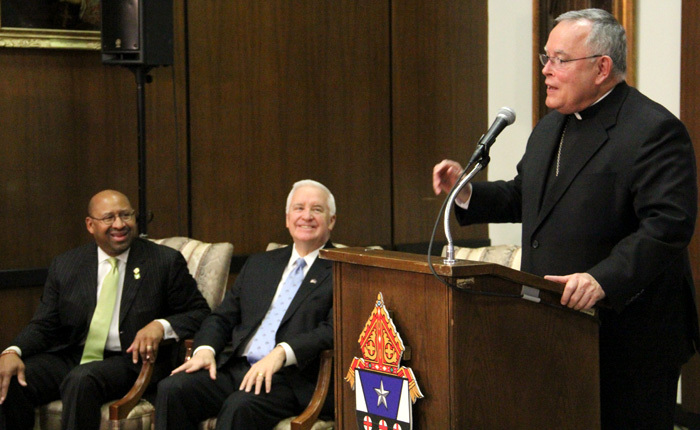 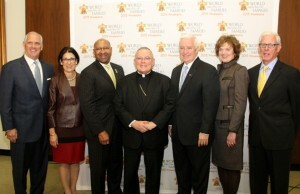 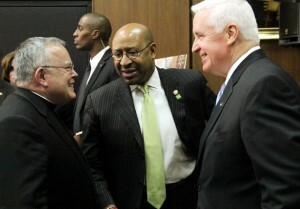 From left, Archbishop Chaput, Mayor Nutter and Governor Corbett share a light moment after the press conference. Seems they want to have the POPE address a joint session of CONGRESs and then maybe a possible UN visit…. seems like the PHILA vist would fall right into place !